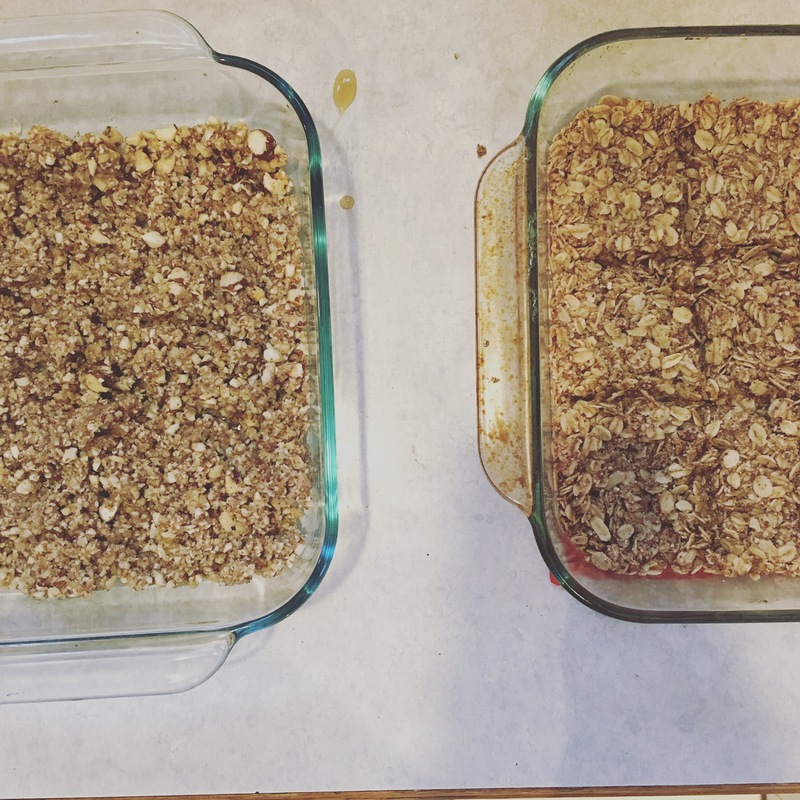 So I love homemade granola but haven’t made it in a while because I would use oats and flour. In fact I have a couple RECIPES that I used to make all the time and my girls love eating. I knew I could sub the flour easily, but what about the oats?? Well I found the PERFECT recipe so I’ll share. It’s Paleo so no grains or refined sugars. 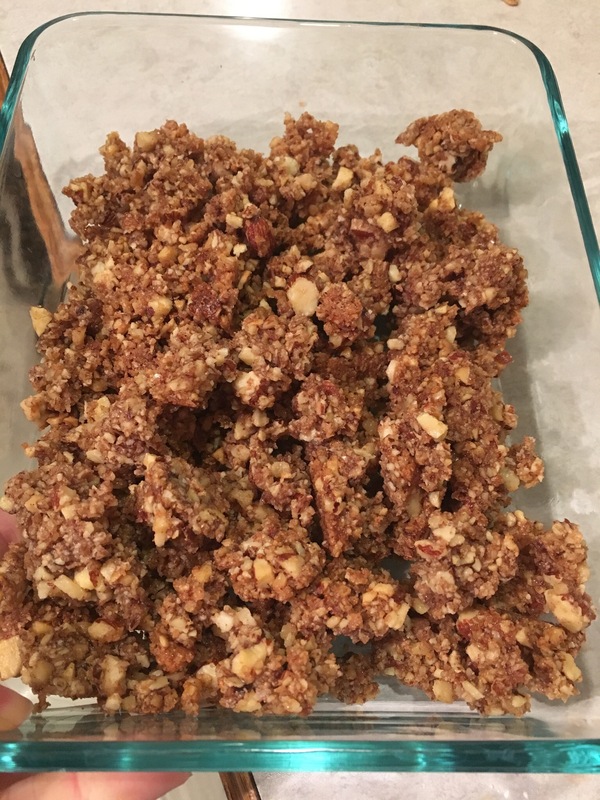 Put all ingredients except coconut oil in food processor or blender. Pulse to combine and add chunks of coconut oil as it gets crumbly and mixes. Once crumbly, stop and spread on a pan. Cook at 350 for 15-20 minutes. I suggest taking out and mixing up a little in between. When browsing slightly, remove and let cool and break apart. This is so good! My husband has been putting some in his yogurt and loves it. 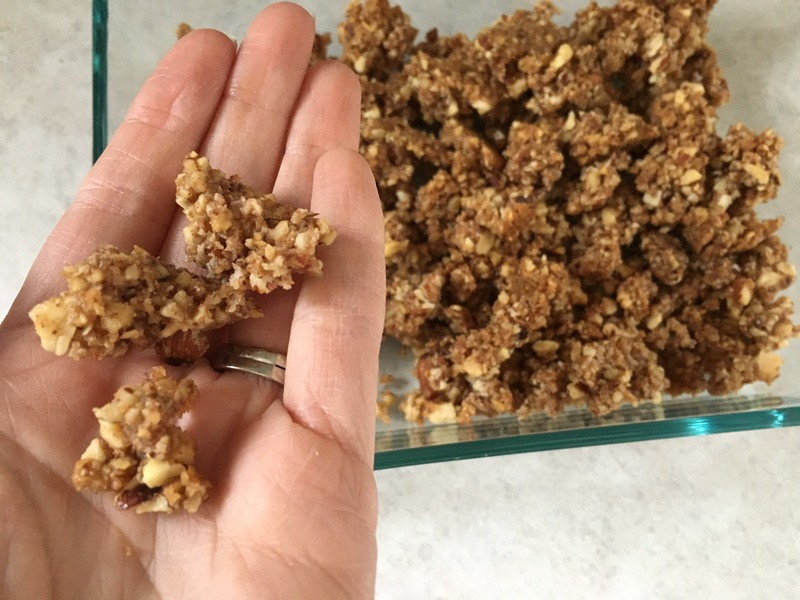 It’s a great snack with a banana and you’re not getting any grains or refined sugar so no blood sugar crash; it’s quite filling. I think adding pumpkin spice and cashews and Brazil nuts would be tasty too. So many options! Let me know what you come up with.